I have another fun little get to know me post for you all today! Q&A with yours truly! I saw this previously on Dayna and Amanda's blog and just had to do it! I hope you enjoy learning a bit more about me! 5 AM! I leave my house around 6:20 and I hate feeling rushed! I am not a steak person, red meat is just not my thing! GIve me a nice piece of fish and I am one happy girl! 3. What was the last movie you saw at the theater? 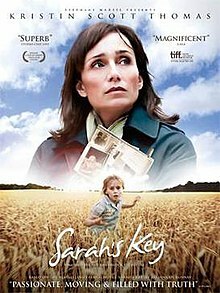 I want to say it was Sarah's Key, and despite being very sad and thought provoking I loved it! Hmmm I really like Food Network cooking shows, Man VS Food...HGTV anyone? I am not a person that watches a ton of TV, but from time to time I do tune into the shows we all love like the Real Housewives and such! 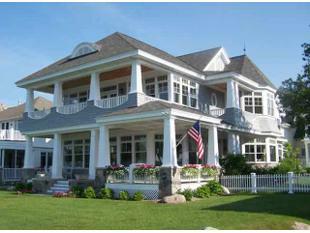 I would love to live somewhere that has lots of my favorite things. Such as the arts, good local restaurants interesting entertainment and the people I love and care about the most! Italy would be pretty neat, or Chicago! I will just have to wait and see where my path takes me! Oatmeal, is my breakfast staple my morning doesn't feel complete without it! I change up the toppings daily, but usually you will find a big scoop of peanut butter on there! 7. Do you wear glasses or contacts? I wear glasses when I read or work on the computer. 8. What food do you despise? Hmmm off the top of my head the only thing I can think of is red meat! I am sure if I sat and thought about it for longer I could come up with some more!
. It depends on where I am at and what food I feel like eating! I love local restaurants. When Mark and I travel we like to find the little dives (this is something he has gotten me into)! One of my all time favorite places to eat was Zest! in Indianapolis! They had by far the best brunch! In Rochester I love the Red Wood Room! Balsamic for sure, I am also a huge fan of salsa on salads! I am a total dress girl, always have been! I didn't buy a pair of jeans till the 5th grade! And heels I love heels, I will pick heels over any other shoe to wear! Columbus Ohio to see Mark! Good news though he booked his flight to Minnesota for New Years! But if Mark could go with me, I would for sure go to Napa Valley (I have been dying to go there)! 14. How many tattoos do you have? Nope, none! My dad said if I ever got one he would disown me! Harsh but motivation not to get one! Somewhere on the lake. 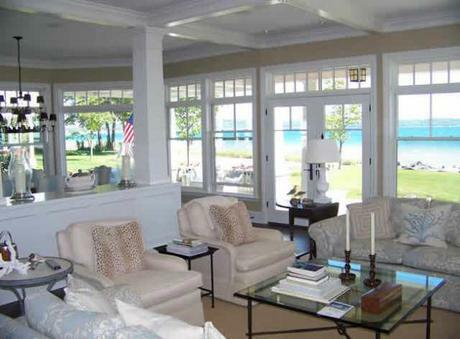 With a boat, and a beautiful house with big windows over looking the lake! That would be ideal! 16. What is your desktop photo? A picture of Mark and I! It is from a bike ride this summer with my parents. Hockey! The only sport I semi understand! I usually root for the Chicago Blackhawks while Mark is a Pittsburgh Penguins fan! I have one younger sister! And yes she is much taller then me! Yes, my morning isn’t complete without it (addicted to my keurig)! I am a total morning person now a days! I don’t remember how to sleep in! Sleeping into me is now 7 or 8! At my parents house we have 2 puppies! Baxter our Golden Retriever, and a little guy prince! A Ballerina. I danced ballet for 23 years of my life, and got a minor in dance from Butler. Pink and Orange. I am also starting to really love red! 26. Are you a cat or dog person? Dogs all the way! I want a chocolate lab so bad! Not yet! But I do have a pretty wonderful boyfriend who I love very much! Always. My dad is an ER doctor seat belts are a must, they save lives! And my car does that annoying beeping noise if I don't put it on! Yes just one. However it did total my little car! When people are really really late, or they cancel plans at the last minute! Hmm that would have to be tomato, fresh basil and mozzarella. With an garlic olive oil sauce! Peanut Butter Frozen Yogurt! Hands down I would choose frozen yogurt with all the fixings over ice cream! But if I am in Ohio and there is a graters near by I am all about the ice cream, hello buckeye blitz! 34. Favorite fast food restaurant? Hmmm, I never really eat fast food, and honestly cannot remember the last time I ate it! But I do love Chipotle Chips and Guacamole, and Jimmy Johns too! 35. From whom did you get your last email? Very cute! And I love the picture of your Golden. I have a soft spot for Golden Retrievers! My parents said the same thing about tattoos and I am so glad now! I can't count the number of things we have in common!!! Amazing :) So glad we're bloggy friends! Yum those pizza toppings sound good!! So cute. I loved getting to know you a little better. I wish I liked to run! I've never tried peanut butter in oatmeal! I don't et fast food either. It's far and few between. My fast food is Panera bread lol!! I love putting salsa on salads! So good and so much better for you than dressing. I also eat oatmeal pretty much every day. I'll have to try the peanut butter. I bet Nutella would be good too, but probably cancels out the healthy part. haha…and same on fast food. Chipotle is yummy! Ah, we are so similar! But I do love red meat, and my dad's not an ER doc (boo!). And you should definitely go to Napa - it's so beautiful and fabulous. The Food Network is the best. I am loving their newest show Chef Hunter - so good! Love this! So fun! I only recently started wearing jeans often.... I am completely a dress person no matter the season too! And I've been dying to visit Napa too! Great questions!! I love the background photo for your computer, very cute. I'm def. a dress girl too! I love your answer for where you would like to live. We have pretty much the same requirements! 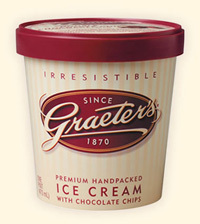 ok we can be tv watching buddies because i watch the same shows and oh we can eat that incredible graeters ice cream while we are at it! and your hair in the photo of you two dancing is gorgeous! Fun questions and answers! My dad is a doctor and used to work in the ER too, AND he also told me if I got a tattoo he wouldn't pay for my college ha! I LOVE Graters. Hands down the best! I'm from Indiana and will be there this summer, I'm going to have to try out Zest! aw this is a fun post. Im a dress girl too! And Napa is a must- it is about 2 hours north of us and just beautiful~! Sarah's Key is my favorite book and I just saw the other day that they came out with the movie! Im glad to know someone has seen it! I love these posts! We have a lot in common! ;) I love salsa on my salad! Glad to know I am in good company! !